MD Logistics leverages FTZ services to provide game changing benefits to its customer base. Even the most efficient supply chains must overcome the most rigorous requirements associated with U.S. Customs and FDA compliance. Despite a company's efforts to make upstream and downstream improvements, these regulations can impede the speed to market and compromise overall supply chain efficiency. As a trusted partner with several industry-leading manufacturers of pharmaceutical and medical device products, MD Logistics is tasked with ensuring a safe and secure supply chain for valuable, temperature-sensitive products. After auditing a major pharmaceutical client's processes, MD Logistics quickly realized deploying Foreign Trade Zone (FTZ) services for their client would be a game changing solution, offering several benefits, including lower risk, increased efficiency, and speed to market when importing product. More specifically, FTZ services allow a customer's product to quickly flow to market, move immediately to a secured and monitored facility without waiting for customs clearance, and maintain a consistent temperature throughout the process. 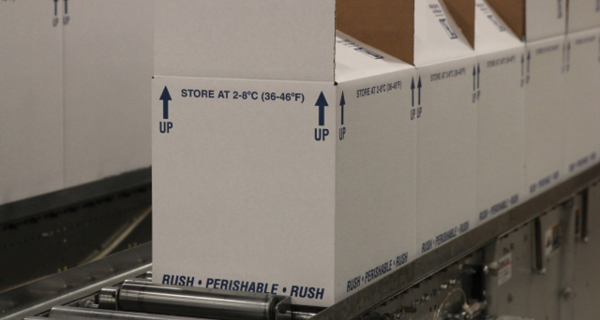 After securing FTZ status and finalizing the organizational structure needed to remain compliant, MD Logistics activated the solution within its pharmaceutical facility for ambient (controlled room temperature), cold chain (2 to 35 degrees Celsius) and extreme cold chain (below -20 degrees Celsius) products. Upon realizing the tremendous benefit to its customer base, and further streamlining its internal processes, MD Logistics began to offer pharmaceutical foreign trade zone solutions to other customers. To learn more about MD Logistics' solutions, email info@mdlogistics.com, call 317-838-8900, or visit www.mdlogistics.com.